One of the most frequent things I see online is status “Bored”. Are we all so bored by our tech-driven world? By the like of “#showusyourfridge”—great technology misappropriated to the unintended, inane use? Or is it that intelligent people are in a permastate of boredom in today’s world? Suddenly seeing really unexpected Facebook suggestions? Now that would have been odd because over the years I have refused at every request to give Facebook access to my phone’s contacts, or any other contact list for that matter, and have never changed that policy—despite how attractive or convenient it might have seemed to be! So, did Facebook “hack” My Contacts? No! They wouldn’t have done that? Would they? Then it occurred to me—they didn’t need to. They just bought WhatsApp instead. I have given WhatsApp access to my contacts. From the type of suggestions I am getting on Facebook—my strong suspicion (and that’s all it is!) is that Facebook has now integrated WhatsApp personal data into their algorithm. Maybe I missed some explicit, clear Facebook announcements about this? No I didn’t. A casual Google search on the topic didn’t yield in any meaningful results to indicate that was going to happen—not that that’s conclusive evidence, but it should have appeared somewhere by now if that was to happen? Do I really have to mention the two big P’s—Privacy and Permission? Well, I guess we should all have have expected that Facebook is bound to leverage all the value in that massive 16- or 19-billion-Dollar purchase price. Be that as it may, I think there may be some questions to be asked and answered here. OK, So Drury Buildings deleted this post from their Facebook page and the replies of all of my co-diners! So I’m putting this on-line so they can never take it down! 19 of July 2014 @Drury Buildings “Rude staff — started with the waitress — compounded by the “manager” Treasa — ruder again and deaf to feedback from customers! I challenge “actual management” to contact me to discuss! Big pharma is like the mob! Interesting BMJ blog post by ex-editor Richard Smith discussing new book by Peter Gøtzsche of the Cochrane Project. I particularly like the description of him as “an irascible but modest scientist” who “had a sailor’s vocabulary, and his brand of peer review often included shipboard expletives”. According to Wikipedia, “He used profanity and tirades freely to drive his arguments home, and once, famously, refused to attend a mandatory “charm school” course intended to make Merck middle managers more civil.” Love it! How much more might people achieve with a bit more of that kind of candour in organisations? Unfortunately today, that kind of “how” would soon be knocked out of you and used as reason to ignore your “what”, no matter how extensive, pioneering or innovative! A Tale Of Two Cows Of Our Time! Lessons for the pharma industry from Big Blue? “people don’t do what you expect but what you inspect,”. Apart from the “warts ‘n’ all”, candid and interesting character study of the protagonist, it’s a great history of the technology sector from the 1980s to today. 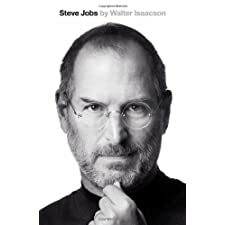 Was his “reality distortion field” just another take on manipulation or sheer delusionary self-belief? Was his “focus” strategic or just typical male obsessive behaviour? Constantly occurred to me that the kind of behaviours he exhibited would just not be tolerated in most organisations, at least not at the “minnow” level. Who’s the better for that? Fantastic talk from one of the most thought-provoking speakers on the TED circuit, Rory Sutherland. A beautifully constructed argument for the importance of changing the context in which we see and sell just about everything! An agenda for the parity, at least (if not superior), value added by marketing and how it can actually make us happier, not more dissatisfied.